Mary Kay Global Makeover Contest Benefits more than 150 Charities Worldwide with Nearly $500,000 in Grants in Honor of 50th Anniversary Celebration. 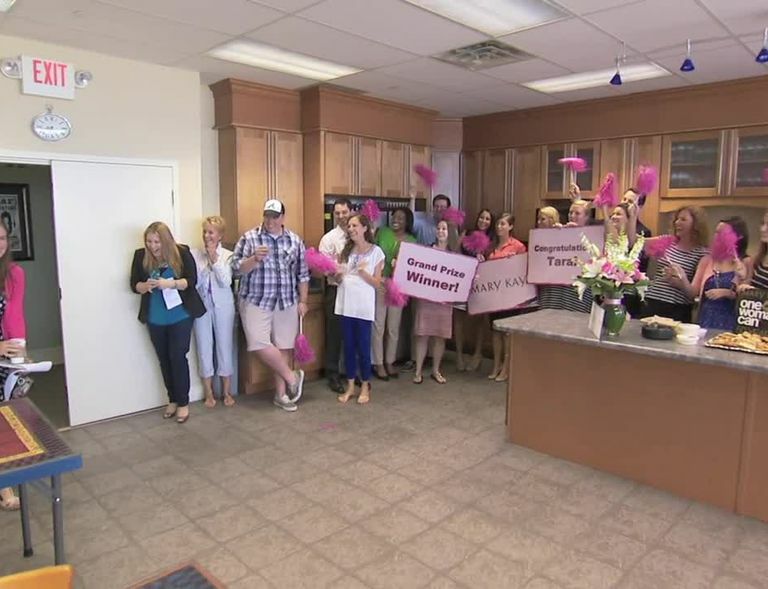 Tara Patterson, is surprised by colleagues that she is the grand prize winnter of the Mary Kay One Woman Can Global Makeover Contest. The Mary Kay Global Makeover Contest Benefits more than 150 Charities Worldwide with Nearly $500,000 in Grants in Honor of 50th Anniversary Celebration. Cosmetics Giant Celebrates 50th Anniversary with 50 Grants in the U.S.
DALLAS (September 26, 2013) – Beauty is in the eye of the beholder, but for 50 charities across the U.S. and more than 150 around the world, beauty comes as a cash prize from a Mary Kay Makeover Contest winner. Mary Kay announced today the winners of its 50th anniversary One Woman CanTM Global Makeover Contest to celebrate women’s beauty and the beauty of giving by granting winners a $5,000 contribution to the charity of their choice benefitting women and children. 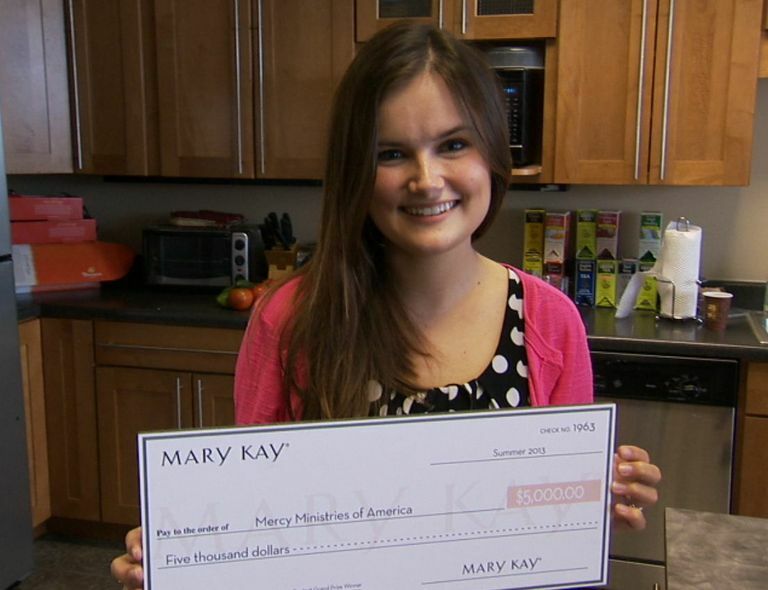 The contest, held in 28 different countries where Mary Kay® products are sold, transcended language and borders. Around the world, 225,000 entries were submitted, and nearly $500,000 dollars were awarded to organizations benefiting women and children. 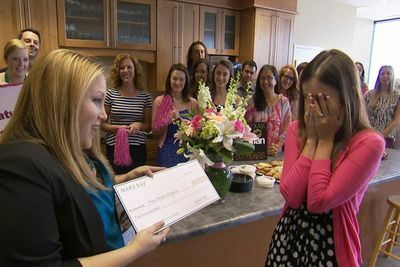 Along with before and after pictures, contestants were required to share why it was important to them that the charity of their choice receive a $5,000 donation. In the U.S., more than 60,000 makeover contest entries were recorded. One grand prize winner also won a $5,000 vacation to a destination of her dreams. The diversity of organizations being supported by the U.S. contest winners help a number of causes including the prevention of domestic violence, eating disorders, cancer, lupus, cystic fibrosis, Down syndrome, scleroderma and other debilitating diseases, touching the lives of thousands. In addition to the nearly 70,000 entries from the U.S. and Canada, the regions with the most entries included Asia Pacific with 80,000, Europe with 50,000 and Latin America with 17,000. The grants are a tribute to company founder Mary Kay Ash, who started the company with her life savings of $5,000 and a dream to enrich the lives of women around the world. “It is so important to us that women have the opportunity to interact with Mary Kay® products and learn techniques to apply makeup to bring out their most beautiful self,” said Sheryl Adkins-Green, Chief Marketing Officer for Mary Kay Inc. “But engaging consumers to help their communities brings out an inner beauty which far outshines anything a makeover can do. We are excited to support so many deserving charities around the world, and thrilled to see the high level of participation in this year's contest." To learn about the Mary Kay One Woman CanTM Global Makeover Contest winners and their stories please visit makeovercontestmarykay.com and watch the video at http://bcove.me/w8vrh2uj.